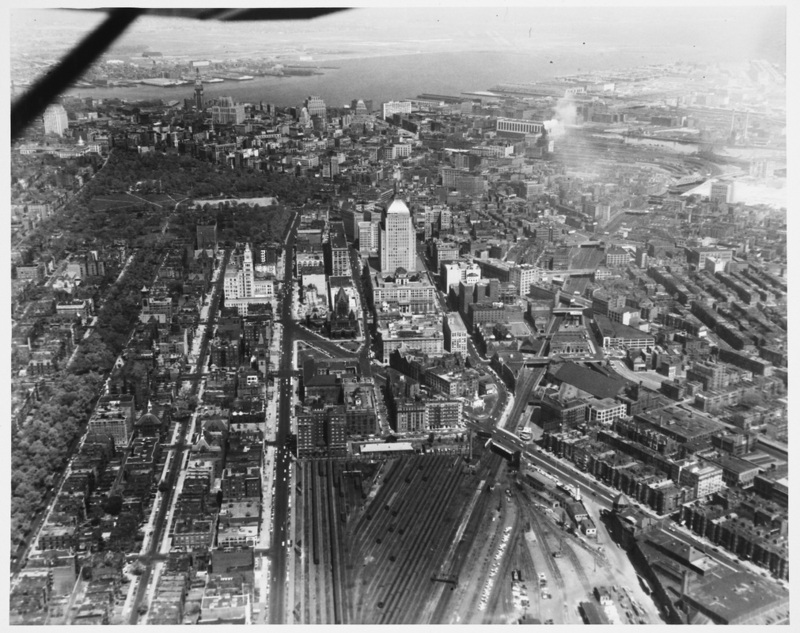 Aerial of the area around Copley Square as it appeared in 1957. Since the Copley area's conception, the neighborhood has served as a major hub for a variety of Boston's operations—cultural, commercial, educational, sports and transportation, to name but a few. This tour will focus upon the major landmarks of the area over time and, by tracing how the area's infrastructure and commercial composition has changed and where major landmarks were and are, paint a picture of the role the Copley area serves and has served in the City of Boston. Ultimately, a tour participant will gain a thorough understanding of how the Copley area has evolved over time and how the area's evolution has been influenced by historical trends in the growth of the City of Boston at large, as well as the significance of the Copley area within Boston's infrastructure.